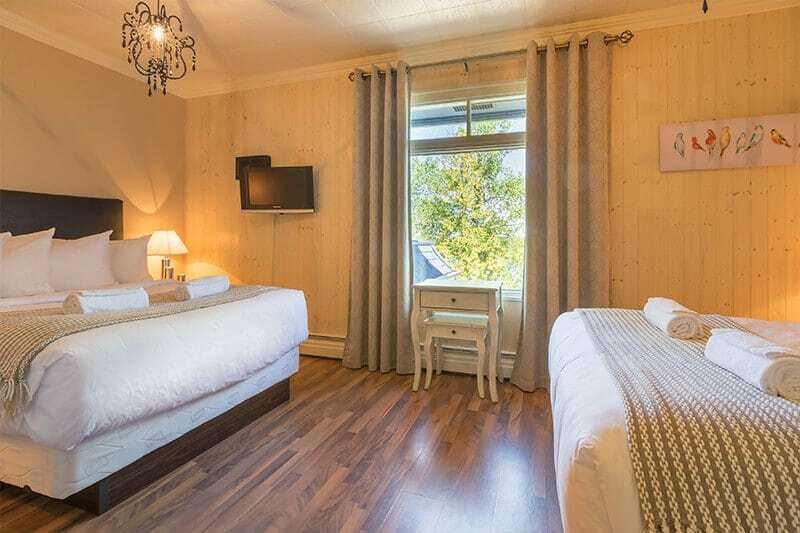 Ideal for a stay in Saint-Felicien, in the Saguenay-Lac-Saint-Jean region, Auberge des Berges offers 19 comfortable rooms with all the necessary commodities for a successful stay. 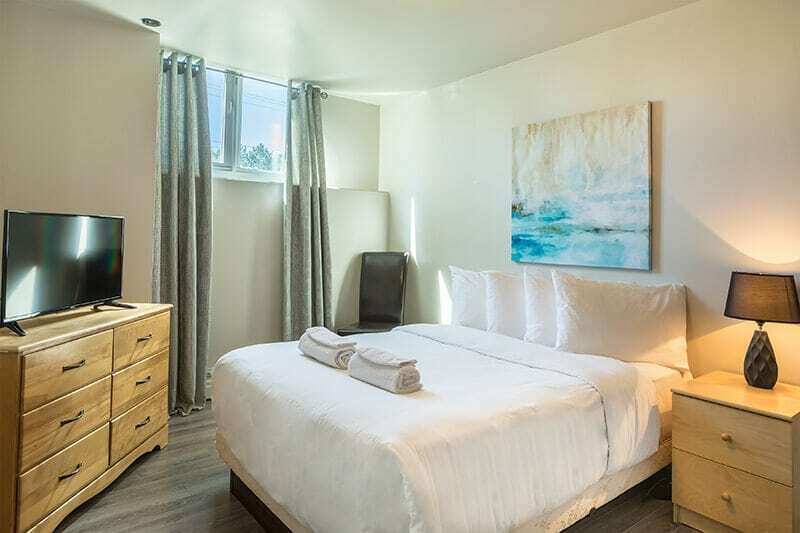 Whether you are looking for an economical option or for a suite with a view on the river, you will certainly find the room that you need here. 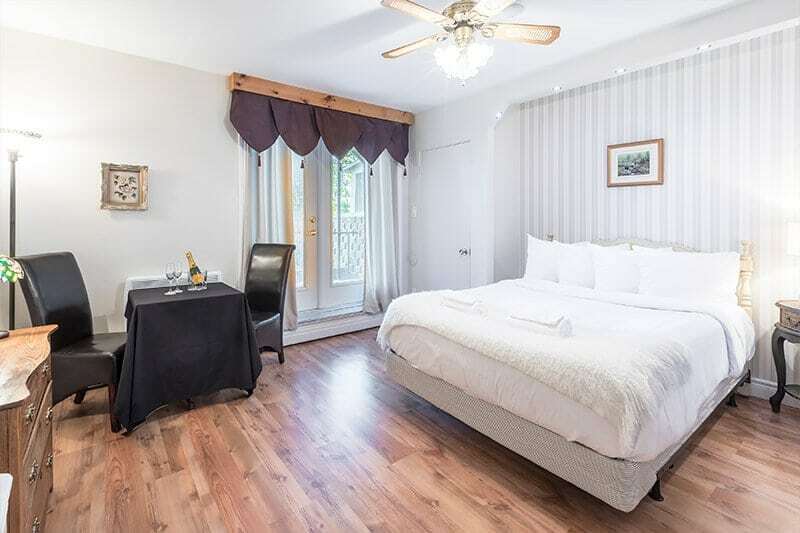 Located in a semi-basement, the economic rooms offer you a stay in St-Felicien at a small price! During your stay, you will be able to enjoy the Inn’s terrace with a view on the river. Our regular rooms with a double bed are ideal for both business travelers and couples seeking tranquility. With a small refrigerator, floating wood floors and a private bath, you’ll have everything you need to make your stay a success! The regular rooms with a Double or Queen bed are perfect for all those wanting to enjoy the view during their stay. Located on the second floor, you can admire the river that runs along our inn in addition to having access to all your amenities, such as a refrigerator and a private bathroom. Ideal for your next family vacation, our regular family rooms with view offer you the opportunity to admire the river from the second floor of our inn while enjoying the tranquility of our rooms and the two double beds that are available. 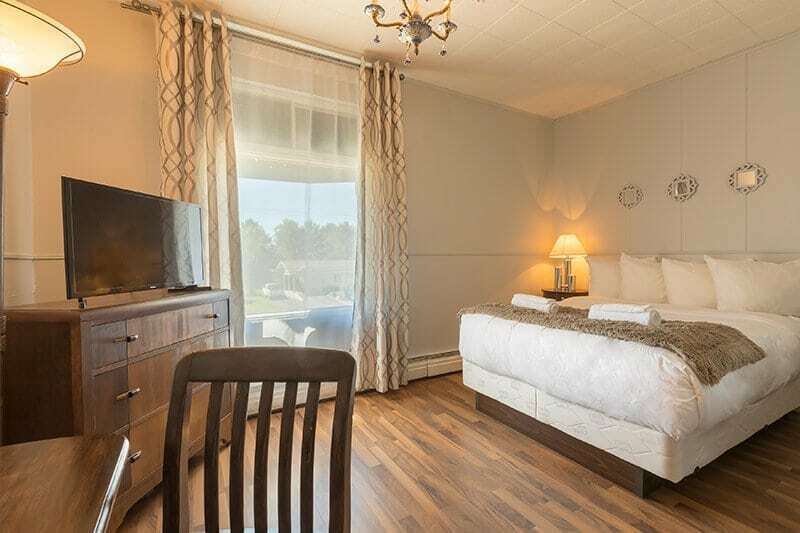 Looking for comfort and tranquility for your next stay in our region? 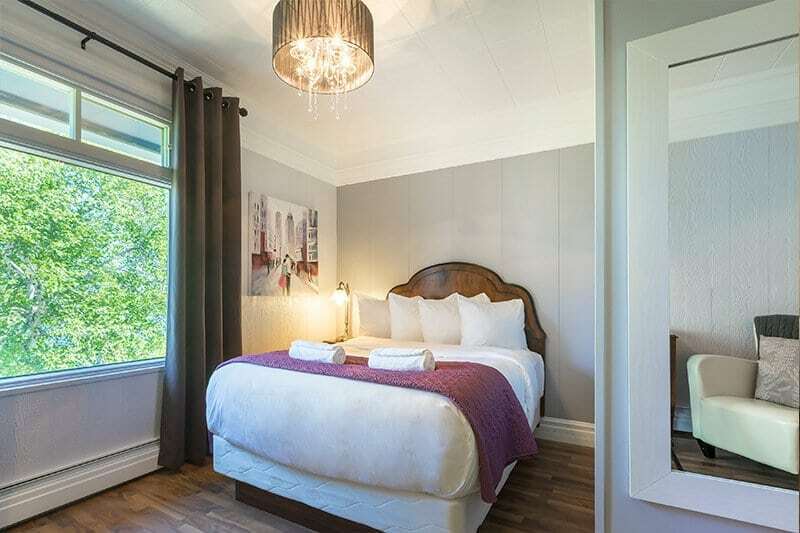 Our romantic rooms with 1 Queen bed are located in the half basement and allow you to have direct access to the terrace near the river through its patio door. The private bathroom and floating wood floor will assure a most pleasant stay.